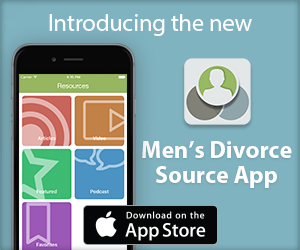 Note: DadsDivorce.com provides the following links as a convenient resource to our visitors looking for divorce information and divorce resources. DadsDivorce.com, however, is not responsible for the contents of any website listed. We make no representations or warranties regarding, and do not necessarily endorse, any linked website, their contents or information about products and services. These links do not imply DadsDivorce.com’s sponsorship, endorsement, affiliation or association with entities that own or are responsible for their presence on the Internet. Lobbying arm for the National Congress for Fathers & Children. Advocates for the institution of fatherhood, encompassing the full range of human behaviors and endeavors that flow from the father-child relationship. Works to promote shared parenting and to end the discrimination and persecution faced by divorced fathers. The National Parents Organization (formerly Fathers & Families) is a Massachusetts non-profit organization advocating for the right of every child to have two parents. Called by some a “fathers’ rights organization,” the National Parents Organization is made up of men and women who believe that fathers are an essential part of a child’s life and that divorce or separation should not change this. The mission of Fathers for Equal Rights, Inc., is to promote equitable family laws and practices that will respect the rights and needs of all family members. Formed in 1985, the Children’s Rights Council (CRC) is a national non-profit organization based in Washington, DC that works to assure children meaningful and continuing contact with both their parents and extended family regardless of the parents’ marital status. Interested in becoming a better father, whatever your situation? The About Fatherhood website is your one-stop source for information about being a truly great dad. Whatever fathering role you play, find comprehensive articles, links and a discussion forum to meet your needs and make you a better father. Raising awareness of parental alienation and hostile aggressive parenting. MensENews.org is a news service project of Family Reunion, Incorporated, a 501(c)3 tax exempt, nonprofit organization. The mission of MensENews.org is to keep readers apprised of up-to-date news and information in order to help promote the health and well being of men, boys, and their families. Family Investment Center is a commission-free investment advisory firm. We help families and other groups organize and manage investments. Our goal is to simplify accounts and objectives, reduce investment costs, locate superior products and providers, and help improve investment performance. A unique online service that can help you win custody, change custody, or reduce child support. Eliminate disputes over parenting time and document the time spent with your children. Offers divorced and separated parents online tools designed to make co-parenting easy, low conflict, and accountable. A Positive Divorce Resolution classes and Sandcastles Groups are offered by Dr. Percy Ricketts in Pembroke Pines, Broward County, Florida.